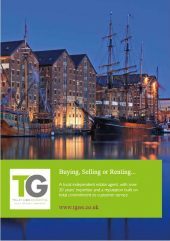 Selling or renting a property with TG Sales & Lettings starts with the valuation – It’s an opportunity to talk to us with regards to the local housing market and for us to answer your questions… honestly. Want to be the first to know about new properties? We’re an experienced, independent Sales and Letting Agent dealing with properties throughout Gloucestershire and one of our friendly team will be in contact to discuss your property requirements. As your Estate Agent we are there for both sellers and buyers. We aim to provide added value in the sales process by having an active relationship with all parties and aiming to find what is really important to you. Letting out a property can be a minefield and there is no replacement for a professional company to look after your tenants. Our courteous staff are dedicated to provide both landlords and tenants with a first class service. With over 25 years of experience working within the property market, our aim is to use our experience to help you and your property requirements, whether that be a buyer, seller, landlord or tenant. As a local independent Gloucester Estate Agent based in Linden and Gloucester city centre, we can provide expert advice on all of your property requirements in our local Gloucester area. Ranging from residential sales, lettings and property management to the sale and purchase of plots of land, new homes and potential development opportunities. Our website offers a wealth of information and advice on all aspects of sales and lettings and also provides the opportunity for you to get to know us better through our social media platform and regularly updated blog. We pride ourselves on being a Gloucester Estate Agent that provides great customer care throughout your time with us, and we strive to give you a pleasant and positive experience throughout your property journey.